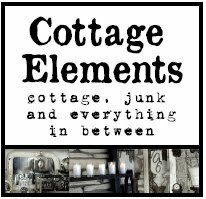 Cottage Elements: It's a Pfarkel FMUG Blogger Bash! 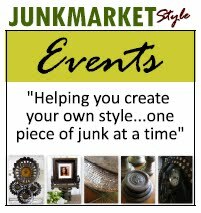 It's a Pfarkel FMUG Blogger Bash! 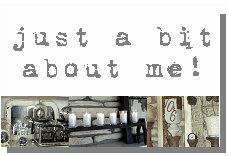 It's a Blogger Party! 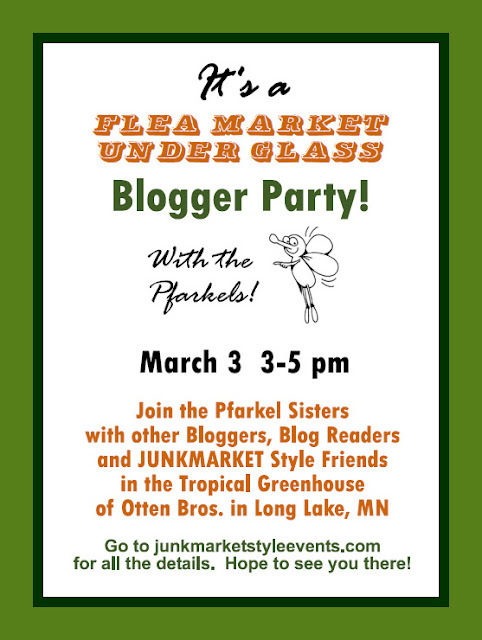 Janell Kraut, Dianne Perry and Sharon Vreeman, better know as the Pfarkel Sisters Fjerda, Frannie and Flossy, along with adopted Pfarkel Sister Marge Utley aka Fosteria, have offered to host a blogger party at our Flea Market Under Glass event. Stay tuned for more details on this fun event! GOOD TIMES!!! I am sure it will be a blast! Have a ball! Oh that sounds like FUN!! !